Josh Hart is an important member of the Los Angeles Lakers rotation, even if the coaching staff can’t quite figure out how he fits in best. 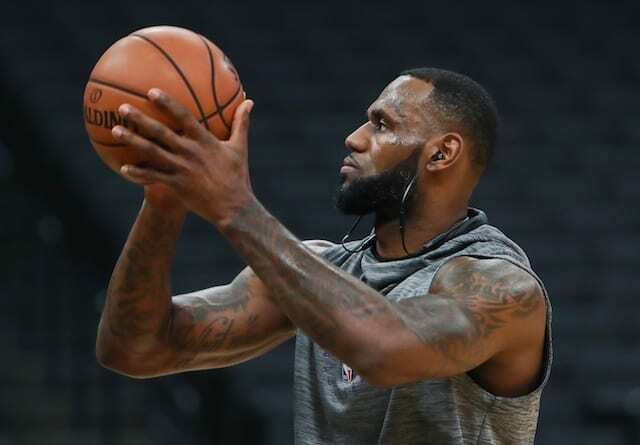 He has bounced back and forth between starting and coming off the bench, and he has been asked to defend both guard positions and at times both forward positions as well. It is a difficult role for any player to fill, but Hart showed signs this past week that he is beginning to figure it out. He shined with the second unit in the team’s stunning defeat of the Golden State Warriors on Christmas Day. He was on the court for 28 minutes and finished with 12 points, including two key three-point shots. Hart was also instrumental in holding Warriors high-scoring guards Stephen Curry and Klay Thompson to 15 and 5 points, respectively. With James injured, Hart returned to the starting lineup the next three games. He played well in each contest. Although the Lakers suffered a terrible blow when they lost in Sacramento at the final buzzer, they played well for 3.5 quarters and Hart was an important part of it. He finished with 10 points, 4 rebounds and 2 assists. Against the Clippers the next night, he had his third consecutive double-digit scoring game of the week. He finished with 12 points on 50 percent shooting from the field. It was in the final game of the week, however, when the Lakers really needed a win, that Hart delivered. In 39 minutes, he had a career-high 17 points in a single half, en route to scoring 22 on the night. He shot 8-for-14 from the field, including knocking down three 3-pointers, to go along with 7 rebounds, 3 assists and 2 steals. This was the kind of performance the Lakers expected to receive regularly from Hart this season, after he ended his rookie campaign on such a high note and went on to become Las Vegas Summer League MVP. Hart has not yet met those lofty expectations, but given his ever-revolving role on the team, it is not entirely his fault. Hart has scored in double-digits in five consecutive games, including all four this past week, but it is his defense that the Lakers may need even more. He entered the league with a reputation for being a defensive stopper, and that reputation was only enhanced this past summer when former Warriors forward David West revealed he knew it was time to retire after struggling to score on Hart. Surprisingly, Hart’s defense has not been as good as expected this season. He’s had trouble defending the speedier guards on the perimeter and has allowed his man to get free too often under the basket. 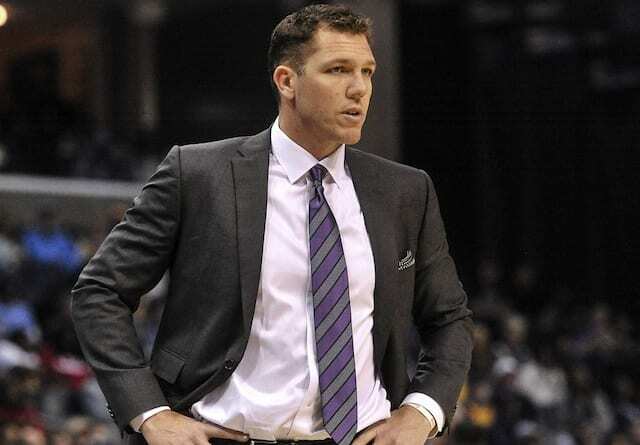 However, in last week’s final game, Lakers head coach Luke Walton made an important decision late in the fourth quarter that flew under the radar but was crucial to achieving the win. 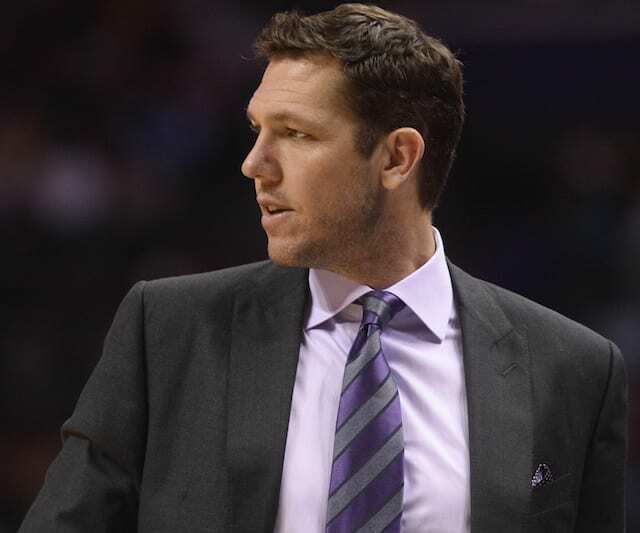 Lonzo Ball was unable to defend King’s point guard De’Aaron Fox, so with a few minutes remaining, Walton removed Ball and replaced him with Hart. The Kings had been unstoppable to that point, but suddenly the back court of Hart and Kentavious-Caldwell Pope was able to put the clamps on Fox and the Lakers got the stops they needed to win after closing on an 18-4 run. Hart’s three-point shooting is crucial to the team’s success, and while his touch has been up and down this season, he is still one of the most reliable shooters on a roster that is many nights challenged to score from deep. But it is also important that Hart not forget to go to the basket, as his strong body allows him to take the blows in the paint and still score effectively at the rim. With the midway point of the season approaching, there are signs that Hart is starting to assert himself on both ends of the court. 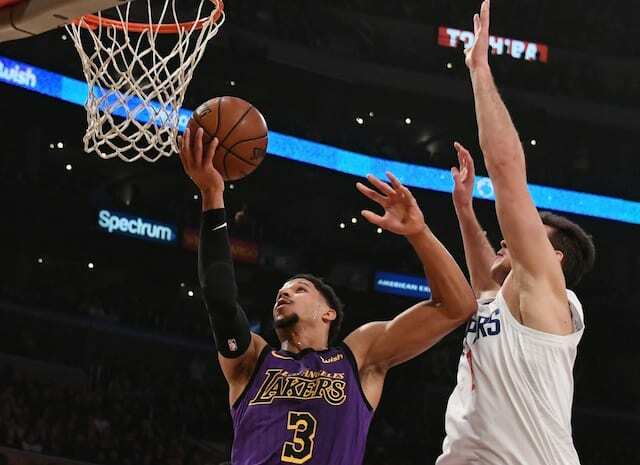 For his versatility, double-digit scoring, and strong defense, Josh Hart can be recognized as the latest Lakers Player of the Week.